Say goodbye to itching, flaking, irritated skin. Mushatt’s No. 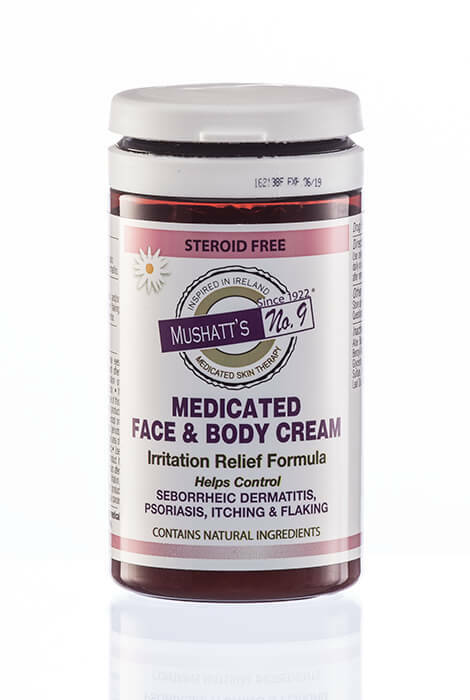 9 Medicated Face & Body Cream is specially formulated to treat symptoms associated with psoriasis and seborrheic dermatitis on the face and body. 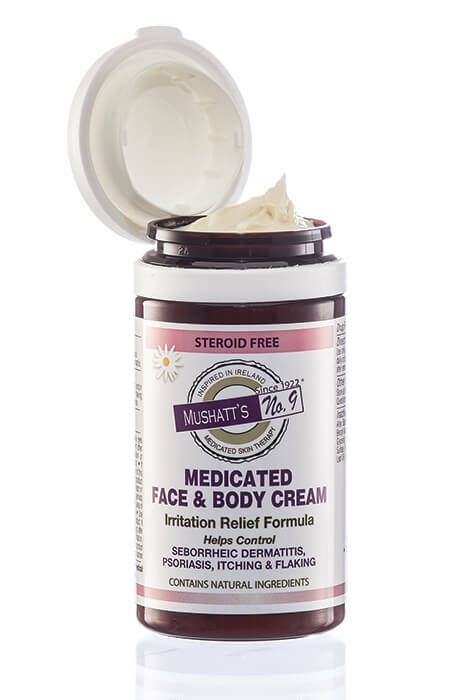 The steroid-free body cream for dry skin, used effectively since 1922, deeply penetrates skin to eliminate redness and reduce scaling without irritation. Contains coal tar, known for its irritation-fighting properties, and soothing aloe leaf juice. Clinically tested for safety, and safe for use on all ages. To use, apply to affected areas one to four times a day or as directed by a doctor. Massage well into affected areas after removing loose scales. Daily use will hydrate and moisturize affected skin areas and help prevent recurrence. 3.4 fl. oz.